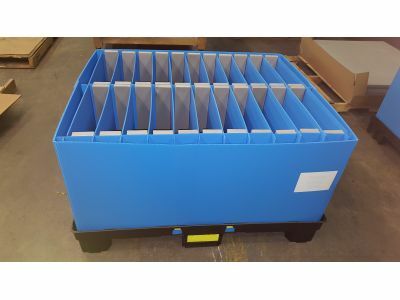 Are you looking for high-quality thermoformed dunnage? Do you need a supplier for durable, corrugated plastic sleeves? Have you been searching for a material handling expert that will work with you to understand your operation and – more importantly – all of its unique challenges? Then we can assure you: you’re in the right place! Carter Associates offers a wide range of material handling solutions, including whole process and prototyping services, which are certain to help your operation run smoothly. In today’s post, we’re going to look at a few of the solutions that we offer and, more importantly, discuss how you can benefit from them. Offering holistic solutions to wide-ranging challenges, Carter Associates is well-positioned to help your operation. Whether we’re brought in at the start of a project or introduced after something has gone wrong, you can count on us to deliver effective, whole process solutions that keep things moving. With the ability to create virtual samples, Carter Associates offers thorough, informative prototyping services. Our goal is to save you time and – of course – money. Because of that, we believe in letting you see your dunnage before committing to a large-scale order. No matter what kind of dunnage you need, we can deliver. Whether you’re looking for corrugated plastic sleeves or thermoformed dunnage, we have the ability to meet – and exceed – the requirements set forth by your application. At Carter Associates, we’ve been in the business of dunnage, packaging, and material handling for over forty years. We have a massive amount of manufacturing space and a team that has been trained to deliver on our customers’ expectations. If you’ve been searching for a dunnage supplier that will help you with all of your material handling needs, contact us today.